Michel Platini, in full Michel François Platini was born on June 21, 1955, in Joeuf, France He was a French professional football (soccer) player and administrator who was named the European Footballer of the Year three times (1983–85) and served as president of the Union of European Football Associations (UEFA; 2007–16). He won three straight Ballon d’Or Awards while playing for Italy’s Juventus FC in the 1980s, and led France to back-to-back semifinal appearances in the World Cup. After retiring in 1987, Platini became a coach and held several executive posts until he was elected UEFA president in 2007. During his career, Platini played for the clubs Nancy, Saint-Étienne, and Juventus. Despite primarily serving as an advanced midfield playmaker, he was a prolific goalscorer; he won the Serie A capocannoniere award three consecutive times between 1983 and 1985, and was the top scorer of Juventus’s victorious 1984–85 European Cup campaign. Platini was a key player of the French national team that won the 1984 European Championship, a tournament in which he was the top scorer and best player, and reached the semi-finals of the 1982 and 1986 World Cups. Together with the midfielders Alain Giresse, Luis Fernández and Jean Tigana, he formed the carré magique (magic square) of the French team in the 1980s. Platini was his country’s record goalscorer until 2007, and holds the record for most goals (9) scored in the European Championship despite only appearing in the victorious 1984 edition. For all the praise he received for his performance during the tournament, at the age of 26 years old Platini’s haul of silverware was hardly impressive, with only two domestic trophies to his name. That was about to change as reigning Italian champions Juventus decided that the French star was the perfect player to lead their attack. Following his retirement as a player, Platini was the French national team coach for four years, and was the co-organizer of the 1998 World Cup in France. From 2007, he served as the president of the Union of European Football Associations (UEFA). He also held the positions of chairman of FIFA’s Technical and Development Committee and vice-president of the French Football Federation. In 2015, however, he was banned from football administration for conflict of interest by the FIFA Ethics Committee. Platini developed into a prominent player for Nancy, using his impressive passing and free-kick skills to spark the club to the Ligue 2 championship in 1975. He helped France reach the quarterfinals at the Olympics the following year, and was named French Footballer of the Year in 1976 and 1977. In March 1974, he suffered a setback when he sustained a double fracture of his left arm in a match at OGC Nice. Platini missed the remainder of the season as a result, unable to assist Nancy in an unsuccessful bid to avoid relegation from Ligue 1. The following season saw Nancy win promotion back to the French first division with ease. Platini became the team’s most important player, scoring 17 goals, a number of which were scored from free-kicks, as was becoming Platini’s specialty. Saint-Étienne, the then reigning French league champions, were knocked out of the French Cup with two goals from Platini free-kicks. Platini practised his free-kicks with the help of his friend, goalkeeper Moutier, and using a row of dummies to form a defensive wall of sorts. Before travelling to Argentina for the World Cup, Platini won the first major trophy of his playing career, captaining Nancy to victory in the 1978 French Cup final against Nice and scoring the only goal of the game. President Valéry Giscard d’Estaing presented him with the trophy. However, with the World Cup scheduled to start two weeks after the cup final, there was little time left for preparation. Considered a key member of the 1978 French World Cup team, Platini was blamed when Les Bleus were bounced in the first round. The midfielder rebuilt his reputation after joining AS Saint-Étienne in 1979, where he won a Ligue 1 championship, and his strong play during France’s run to the 1982 World Cup semifinals erased any negative feelings about his capabilities. The move to Juventus in the summer of 1982 was a homecoming of sorts for the descendant of Italian immigrants, but mostly it was an opportunity to perform on a bigger stage than the French league. It was a decision neither party would not come to regret, as Platini went on lead Juventus to a string of trophies starting with the Italian Cup in 1983, and the European Cup Winners Cup, the European Super Cup, and the Italian Championship in 1984. Platini’s three years at Saint-Étienne were a mixed success. The club had signed him with a view to success in the European Cup, but despite some excellent results (including a 6–0 win over PSV in the 1979–80 UEFA Cup and a 5–0 win at Hamburger SV in the UEFA Cup the following season), the club were unable to surpass the feats of the Saint-Étienne side that had reached the final of the 1976 European Cup. Platini won the French league title in 1981 with Les Verts, but was on a losing Saint-Étienne side in two French Cup finals, against Bastia in 1981 and against Paris Saint-Germain in 1982, in what was his last match for the club before joining Juventus. Back at Juventus, Platini led the Italian side to the final of the the European Cup for the second time in three years. The 1983 final had surprisingly been lost to Hamburger SV, but this time a 1-0 victory over Liverpool saw Juve win the European Cup for the first time in the club’s history. After Juventus claimed the 1984 Serie A title, Platini delivered an unforgettable performance for the French team in the 1984 European Championships, twice notching a “perfect hat trick” (a goal scored with both feet and the head) en route to an incredible nine goals in five games. He finished top scorer in Serie A for three consecutive seasons (1982–83, 1983–84, and 1984–85), and won a hat-trick of European Footballer of the Year awards (1983 through 1985). He was also voted Player of the Year by World Soccer magazine in 1984 and 1985. Having first attracted the attention of national team selectors in the Coupe Gambardella tournament, Platini was selected for the French junior team, but injuries prevented him from playing. He made his first appearance for a French national selection playing for the French amateur side on 26 September 1973. Platini was a member of the French football team at the 1976 Summer Olympics in Montreal. Their tournament began on 19 July with an 4–0 win over Mexico. With a 3–1 win over Bulgaria at the Parc des Princes on 16 November 1977, a match in which Platini excelled in the role of playmaker and scored with a strike from 30 yards, France secured qualification for the 1978 World Cup in Argentina for their first appearance in the World Cup finals since 1966. Platini was nonetheless made captain of the French national side after the World Cup and made the number 10 jersey his own. One of his trademark free-kicks helped France defeat the Netherlands 2–0 in Paris (18 November 1981) in a crucial qualifying match for the 1982 World Cup in Spain. France unexpectedly reached the semifinals of the 1982 World Cup where they met West Germany in Seville for what proved to be one of the great matches of World Cup history. In 1984, Platini captained France to success in the European Championship on home soil. His individual impact on the tournament was huge with nine of France’s 14 goals in just five games (the top goal scorer in Euro ’84). In Mexico the best European footballer of the eighties found himself upstaged by Diego Maradona, who used the tournament to underscore his status as the best player of his generation. Just like four years earlier, the 1986 World Cup saw France reach the semi-final. Platini turned in some strong performances, but wasn’t fully fit and failed to reproduce the rampaging performance that had seen him lead France to the European title two years earlier. After victories over Italy and Brazil, it was West-Germany that, once again, stood in the way of a place in the final for France. Platini retired in 1987 at age 32, finishing with 312 goals in 580 career club matches and a then-record 41 goals over 79 international appearances for France. Platini’s last match came on 27 November 1988, when he came out of retirement for one day to play in an international friendly match representing Kuwait against the Soviet Union, at the request of the Kuwaiti Emir. Platini played a total of 21 minutes in the 2–0 loss to the Soviets. In doing so, Platini completed the rare feat of appearing for more than one country at full international level. Platini took over as national team coach in 1988 and led France through an impressive stretch of undefeated play, but stepped down when the team lost in the first round of the 1992 European Championships. Afterward, he became co-president of the FIFA World Cup Organizing Committee for the 1998 World Cup in France. Platini was, along with Fernand Sastre, head of the organizing committee for the 1998 FIFA World Cup, held in France. He served on the UEFA Technical Development Committee from 1988 to 1990. He has been a member of the UEFA Executive Committee and European member of the FIFA Executive Committee since 2002. 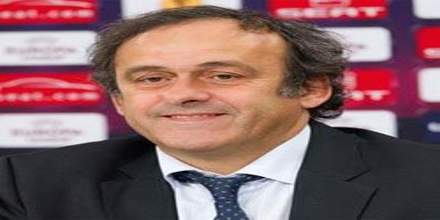 He continued to climb the ranks of UEFA and FIFA football administration and in 2006, became a chairman of the FIFA Technical and Development Committee, while also being vice-president of the French Football Federation. Beginning in 2002, Platini served as a member of the FIFA Executive Committee, chairman of the Technical Development Committee and vice chairman of the Football Committee. He was elected president of the Union of European Football Associations in January 2007, and reelected for a second four-year term in March 2011. In recognition of his incredible accomplishments as a player, Platini was voted to the English Football Hall of Fame in 2008 and to the Italian Football Hall of Fame in 2011. Platini is considered to be one of the greatest players of all time, and is regarded as one of the best passers in football history, as well as one of the best ever penalty kick and free kick specialists to have played the game. A quick, versatile, and intelligent offensive midfield playmaker, with a unique ability to read the game and bend the ball from set pieces, he was renowned in particular for his ball control, technical skill, creativity, range of passing, and vision, despite his lack of notable physical or athletic attributes. Despite his talent, skill, and ability, he was also drew criticism from his managers at times, due to his lack of stamina and poor defensive work-rate. Due to his leadership and dominance, as well as his technical and creative attributes, he was given the nickname “Le Roi” (“The King”, in French). Michel François Platini was born on June 21, 1955, in Joeuf, France. Platini is the son of Aldo and Anna (née Piccinelli), both of Italian ancestry. Anna’s family has its roots in the province of Belluno, while Aldo’s father, Francesco Platini, was an immigrant from Agrate Conturbia, in the province of Novara, and settled in France shortly after the end of the First World War. His father, Aldo, was a professional soccer player who became a director of the AS Nancy club, and young Platini sought to follow in his footsteps. He joined the AS Joeuf youth team as an 11-year-old, and landed with Nancy as a reserve at age 17. Following the ongoing corruption case, and after his announcement that in July he would run for FIFA president, Platini was also involved himself in the case. Both Platini and Blatter were placed under formal investigation by FIFA’s independent ethics committee in late September 2015. Platini was also involved in the Greek public polemica(vague) regarding the 2015 Greek football scandal. In April 2016, Platini has been named in the Panama Papers. During Platini’s international career, France were five times holders of Nasazzi’s baton, and Platini was captain on the third, fourth, and fifth occasion that the French national team held the unofficial title while he was an international. On 9 July 2010, the day before the third place play-off of the 2010 World Cup in South Africa, Platini collapsed at a restaurant in the Michaelangelo Hotel in Sandton, Johannesburg. He was rushed to the Morningside Medi-Clinic with a suspected heart attack after having received first aid care by a Brazilian radio director who was sitting at a table next to him. He was attended to and discharged by cardiologist and former President of the South African Heart Association – Dr Leonard Steingo. The official statement released by FIFA confirmed that Platini was discharged, stating that the UEFA President was “fine, and merely suffering from a bout of flu.” Platini was confirmed in attendance two days later at the final between Spain and Netherlands on the evening of 11 July.